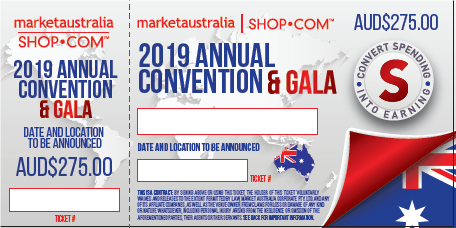 Market Australia is proud to announce that we will be holding our 2019 Annual Convention on 3-5 May, 2019, at the Sydney Boulevard Hotel. The Sydney Boulevard Hotel is an amazing location in the heart of Sydney, within easy reach of city sights and only a 20-minute drive from Sydney Domestic Airport. Market Australia remains focused on the success of our UnFranchise® Owners (UFOs), and we believe that the speaker lineup for 2019 will prove beneficial. You will leave this event with the knowledge to take your UnFranchise Business to the next level. Make sure you get your tickets now before the event is sold out! As a courtesy to other attendees and to preserve the professionalism of our events, children under the age of 14 are not allowed. Any children ages 14 and older who attend will be required to have a valid ticket for entry into the event. *This schedule is an example only. Schedules may vary. **Gala ticket required.